Rhubarb is rich in Vitamin C and fibre but is mainly prized for its tart deliciousness, not unlike ourselves… 😉 Like many other recipes for baked rhubarb, this one uses star anise, which (obviously) gives a delicate aniseed flavour. If you’re not a fan of aniseed or liquorice, substitute a couple of drops of vanilla essence instead. 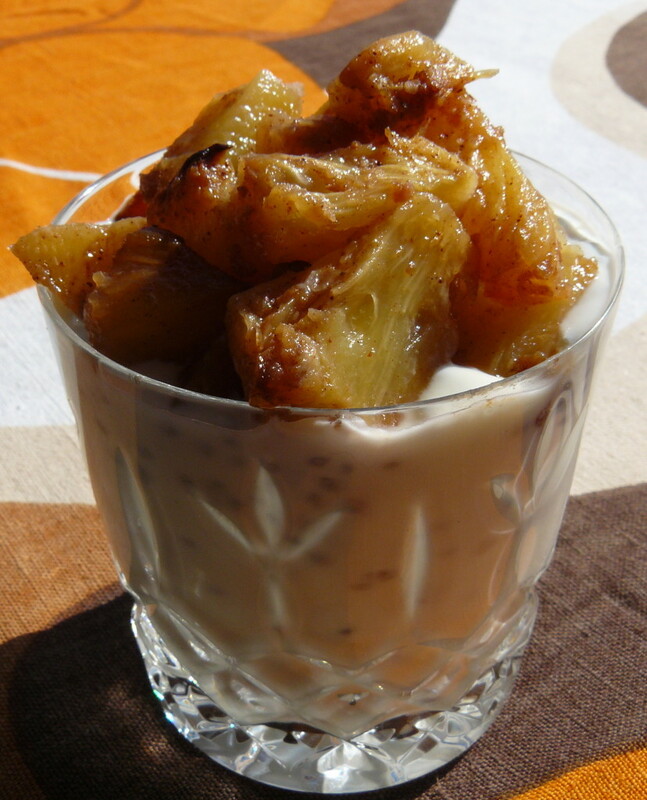 The creamy chia seed accompaniment is quick and easy to make and can be served with more or less any fresh, stewed or roasted fruit. It’s high in protein, which makes this great for post-workout recovery. Use this basic recipe as your starter then experiment to your heart’s content! We know you like that. We’ve tried it with roasted pineapple too and can confidently state that it’s equally delicious. Note: to make a vegan version of this dish, use vegan yoghurt and leave out the creme fraiche. 1 Pre-heat oven to 200C/Fan 180C/Gas 6. 2 Place the rhubarb in an ovenproof dish and add the crushed star anise, ground cinnamon and 1 tablespoon of the agave syrup. 3 Cut the citrus fruit in half. Squeeze the juice over the rhubarb and spices and stir in well. Add the squeezed halves of the citrus fruit. 4 Cover with foil and bake for about 20 minutes, stirring occasionally. When the rhubarb is tender, remove the foil and cook for a further 5 minutes. Remove the citrus halves. 5 While the rhubarb is cooking, place the yoghurt, creme fraiche (if using), the rest of the agave and the soaked chia seeds* in a large bowl. Mix well and pop in the fridge to chill until ready to use. 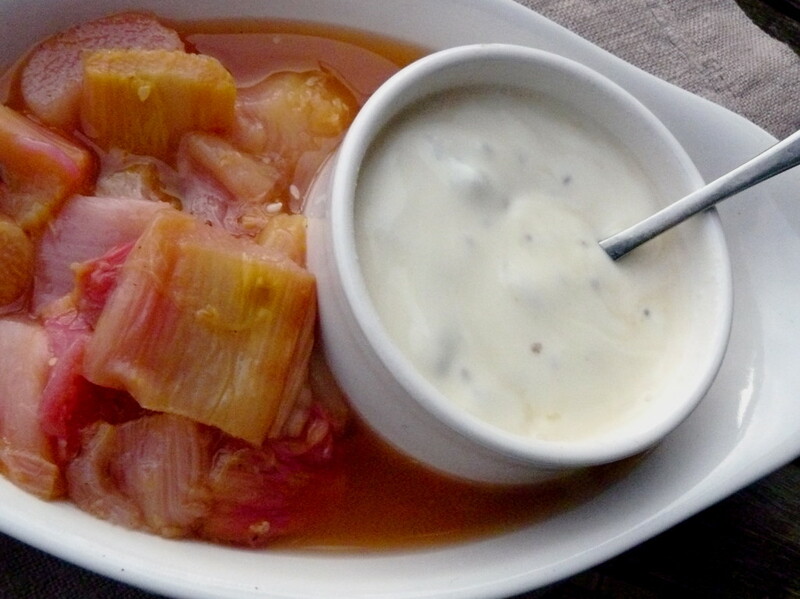 6 Serve with hot or cold baked rhubarb. *The chia seeds will absorb the water and plump up like mini-frogspawn (but in a good way).